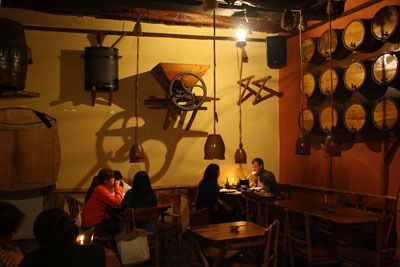 In a warm and cosy atmosphere, surrounded by oak barrels and wine bottles, La Vieja Bodega is nice place to enjoy a meal at lunch or to spend the evening with a nice glass of wine. 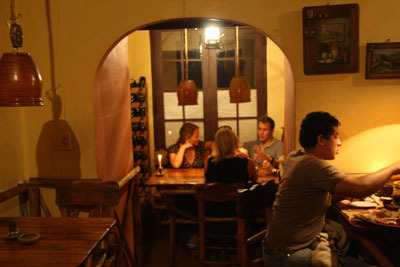 They serve a variety of dishes including the house speciality fondue, consisting of either meat, cheese or chocolate. 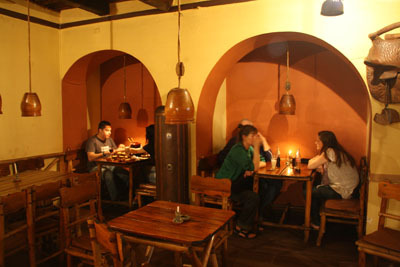 They also have crêpes, pasta, pizza, omelettes and salads as well as some national dishes. 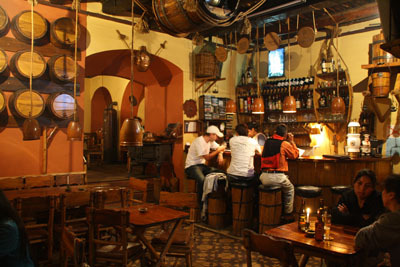 Of course they have a wide selection of wines and other drinks available also. Soon they will be opening an outdoor patio.